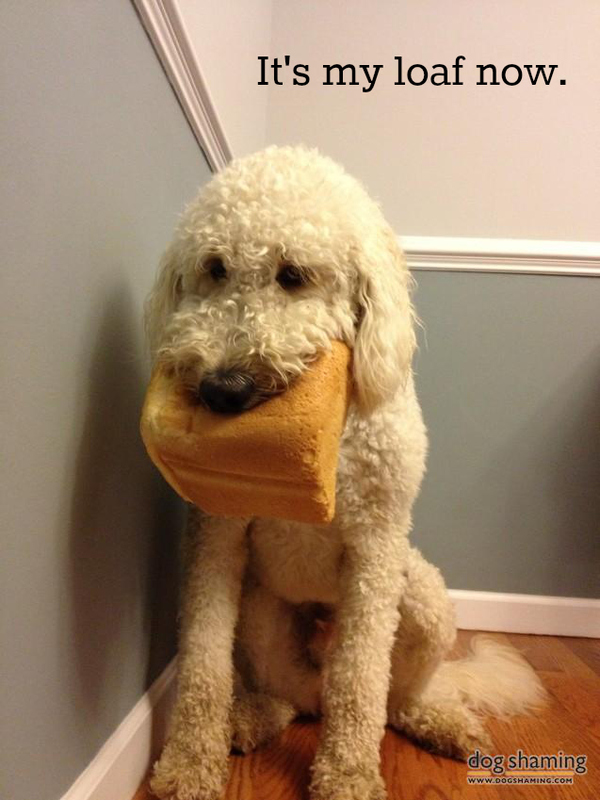 Our dog Teddy stole an entire loaf of homemade bread off the kitchen counter. He would not give it up and ate the entire loaf. Posted January 12th, 2014 . Well..we have learned kitchen counter is fair game!!! Cute btw!!!! He doesn’t look the least but sorry!! Totally worth it to get that photo. Teddy is not only adorable, but right. Possession is 9/10 of the law. Must have been a delicious loaf. Compliments to the baker!